Much contemporary art is highly intellectualized, sprouting from institutes of higher learning, embedded in a system that eschews beauty and prefers provocation. Art today is in-your-face, shocking, gigantic, but rarely is it pretty. At SITE Santa Fe, Laura Heon has curated an exhibition intuitively, “using her gut,” as she said to The Albuquerque Journal. Her gut exploration is about the tension between the beautiful, the finely crafted and the grotesque. “Pretty Is as Pretty Does,” features 50 works by nine artists who push the boundaries of aesthetics. 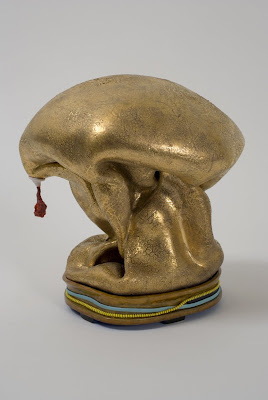 Look beyond the highly detailed and finely crafted porcelain sculptures of Kathy Butterly and there is something creepy and uncomfortable. The yin and yang of an effervescent prettiness and sneering nastiness create a tension that permeates. 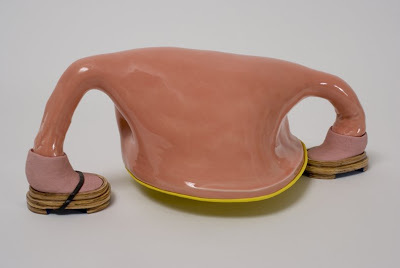 Seeing ceramic work in a contemporary art museum is unusual, and Butterly seems to breathe new aesthetic life into an undervalued medium. Her intensely hued, teapot-sized sculptures are abstract in form. Their shapes at once bizarre and familiar. According to the gallery guide, Butterly fires her sculptures as many as 30 times to achieve the desired effects. She describes her work as psychological self-portraits. Her work on display in “Pretty” is an entirely new body of sculptures made in response to the theme of the exhibition. Normally, this does not work because what the artist creates is too self-conscious, too wrapped up in theme. But Butterly maintained a preoccupation with the political, environmental and economic crisis throughout the world. “Above Normal” is a title taken from a phrase repeated in reports about the wars in Iraq and Afghanistan. “Big Gulp” reflects on our super-sized culture. Butterly’s sculptures are surrounded by the photographs of Tanyth Berkeley, whose portraits are of people our society deems to look unusual. Through her work, Berkeley suggests that perhaps it is not the albino model Grace or the angular woman Linda who are out of the ordinary, but our conventions that need examination. Another artist who explores the conventions of beauty and glamour perpetuated by fashion magazines is Marilyn Minter. Minter uses painting and photography to explore the overlapping spaces of beauty, sexuality and artifice. 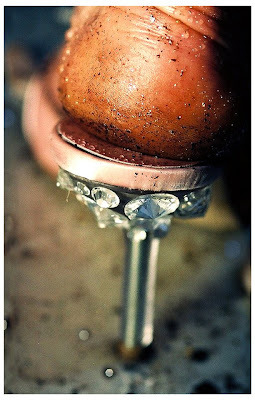 A glamorous high-heeled shoe worn by a woman with dirt caked on her foot juxtaposes the beautiful and the base. In her photo realistic paintings, Minter bares evidence of the artist’s hands. Perfection is impossible to achieve. Whether it is the anime-inspired video projection of Chiho Aoshima, the complex installation by Rina Banerjee, the pealing plaster, fur and teeth that seem to come from within the building by Ligia Bouton, the intricate embroidery of Angelo Filomeno, the wall drawings of David Leigh, or the stained-glass paintings of Judith Schaechter, “Pretty” challenges our ideas of beauty. Prettiness may only be skin deep; beneath the surface at SITE are unsettling subjects like violence, sexuality and death.